Phillips Sekanick Architects Inc. | Phillips Sekanick Architects Inc. Focusing on the need to rejuvenate a tired retail complex, Phillips|Sekanick Architects developed a design that created both a warm and welcoming environment while significantly improving the access and circulation within the site. The new complex was designed to better utilize the site and to enhance the visitors shopping experience. This project was constructed in two phases, allowing for a majority of the existing tenants to relocate within the new complex. Re-envisioning the marketplace of tomorrow, the Cafaro Company Corporate Offices were developed to provide a mix of retail, entertainment, and foodservice with commercial office space in a mall setting. The three story office building of nearly 50,000 SF, was designed to create not only new offices for the national retail developer, but to also develop a grand entry that provides access to existing retail areas and a redeveloped conference facility. With an established need for the creation of a new business office, St William parish sought guidance in creation of both a new space and a new identity. Understanding the need to create a structure that incorporated a bolder approach in shape, material and color, Phillips|Sekanick Architects focused the design on the more traditional elements of church design, translated into a modern form. Designed to meet the parish needs, the addition introduces new materials and bolder colors that now define the parish complex. The addition creates not only needed space, but a new identity. An established, recognized firm, Phillips|Sekanick Architects develops design solution for corporate, commercial, retail, hospitality and the foodservice markets. Our balanced approach in creating tailored responses to program needs, provides our clients with high quality, innovative strategies that respond to their financial, aesthetic and functional expectations. 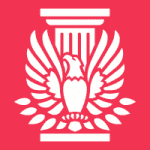 Firm principal Bruce Sekanick, FAIA recently declared his candidacy as for the 2020 AIA First President/ 2021 AIA President-elect. Read up on design awards, events and activities with Phillips Sekanick.